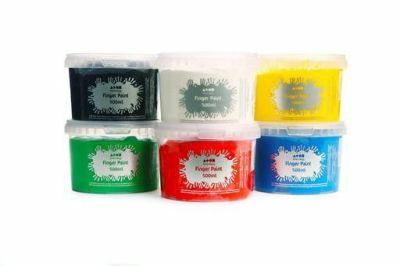 An exciting alternative to standard paint, these finger paints which are non-toxic and easy to wash out of skin and clothes making them ideal for classroom crafts among younger years. Includes six 500ml tubs with resealable lids ensuring clean, tidy storage. Each set consists of one of each colour, green, white, black, red, yellow and blue.